44-01-03 Hollywood Radio Theatre: "Spats McCann"; Hanley Stafford--WJZ, 10:30-11. Hollywood Radio Theatre: "Three Days' Leave": Robert Lowery, Helga Moray--WJZ, 10:30-11. 10:30 Hollywood Academy Award (WENR): "Meet Mrs. Chandler," starring Ona Munson. 10:30 Academy Award (WENR): "Appointment at Eight," starring Ona Munson. 44-02-14 Hollywood Radio Theatre: "Appointment at Eight." Ona Munson and Others--WJZ, 10:30-11. 10:30 Academy Award (WENR): "Murder for Fun," starring Gale Page. 10:30 Academy Award (WENR): "Tam O'Shanter's Miracle." 10:30 Academy Award (WENR): Ona Munson in "A Double Day for Marsha." 10:30 Academy Award (WENR): Gale Page in "Manhattan Serenade." 10:30 Academy Award (WENR): Benny Rubin in "New York Yankee." 10:00 Academy Award (WENR): Ona Munson in "The Castle of San Mario." 10:00--WENR--Hollywood Academy: Ona Munson in "The Castle of San Mario." 44-03-27 Hollywood Radio Theatre: "Castle of San Maria"; Ona Munson--WJZ, 10:30-11. 10:00 Academy Award (WENR): Elaine Barrymore in "Hold Back the Clock." Hollywood Radio Theatre: "Ghost of Croydon Manor." With Gale Page--WJZ. 10:30-11. 10:00 Academy Award (WENR): Ona Munson in "Romance Is Where You Find It." 10 p.m. Academy Award (WENR): Gale Page in "The Wrong Mr. Wright." 10 p.m. Academy Award (WENR): "Little Miss Fortune," starring Elaine Barrie Barrymore. Hollywood Theatre: "Little Miss Fortune"--WJZ, 10:30-11. 10 p.m. Academy Award (WENR): Roy Rogers in "Wagon Wheels Rolling." 10 p.m. Academy Award (WENR): Elaine Barrie Barrymore in"His Wife's Other Husband." 10 p.m. Academy Award (WENR): Gale Page in "The Welcome Stranger." 10 p.m. Academy Award (WENR): "The Evenlode," starring Ona Munson; story of love abroad a tramp steamer bound for Malay. 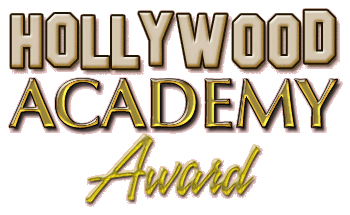 9 p.m. Hollywood Academy Award (WENR): Elaine Barrie Barrymore in "Superlative Degree." 9 p.m. Hollywood Academy Award (WENR): Ona Munson in "The Twain Shall Meet," dude ranch story. NEW YORK (AP)--Actress Ona Munson, 48, former stage and screen star, was found dead Friday in her apartment, apparently from an overdose of sleeping pills. Miss Munson, who climbed to stardom via vaudeville, left a note reading: "This is the only way I know how to be free again...please don't follow me." Police, quoting friends as saying she recently had been ill and despondent, listing her death as suicide pending an autopsy. She found dead in bed by her third husband, stage designer Eugene Berman. He had returned to their West 86th St. home in the afternoon to take her shopping. A native of Portland, Ore., Miss Munson started her career at 14 with Gus Edwards' vaudeville troupe. In 1924, she went on a legitimate stage with a touring company of "No Other Girl." Two years later she starred on Broadway in "No, No, Nanette." 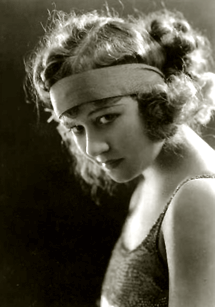 She moved to Hollywood in then-silent films with Joe E. Brown and Ben Lyon. Years later, as Belle Watling in "Gone With the Wind," Miss Munson gained an Academy Award nomination. She appeared on radio and then television. Recently she acquired an interest in a soft drink business and commented: "This is something more stage people should do. I think that everyone in the theater should have some sort of business...which would bring in money for them when they're not working as actors. NEW YORK WP)Actress Ona Munson, 48, former stage and screen star, was found dead yesterday in her apartment, apparently from an overdose of sleeping pills. Miss Munson, who climbed to stardom via vaudeville, left a note reading "This is the only way I know to be free again.. . . Please don't follow me." Police, quoting friends as saying she recently had been ill and despondent, listed her death as suicide pending an autopsy. asleep, and had returned to their West 86th St. home in the afternoon to take her shopping. A native of Portland, Ore., Miss Munson started her career at the age of 14 with Gus Edwards' vaudeville troupe. In 1924, she went on the legitimate stage with a touring company of "No Other Girl." Two years later her name went up in lights on Broadway as the star of "No, No, Nanette." From the theater it was a quick step to Hollywood in then-silent films with Joe E. Brown and Ben Lyon. She also broadcast on radio, and had been making occasional television appearances. Her last stage appearance was last year when she appeared in a revival of "First Lady" at the City Center theater. Other stage hits in which she appeared were "Hold Your Horses," "Reflected Glory." "Accent On Youth," "Petticoat Fever," 'The Bishop Misbehaves," "Hitch Your Wagon," "Twinkle Twinkle," "Manhattan Mary," and "Hold Everything." Among her movies were "His Exciting Night," "Five" Star Final," "Broad Minded," "The Hot Heiress," and "Shanghai Gesture."